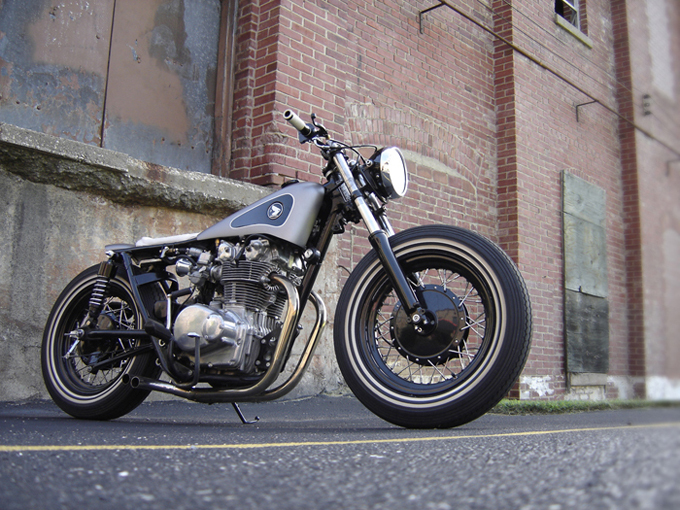 There will be many die-hard Honda enthusiasts who might think taking a mint condition 1971 CB450 and turning it into a Gravel Crew inspired bobber is sacrilegious. I for one, am not one of those people. After riding for 10 years, Scott Halbleib came across a group of vintage riders who were members of Louisville Vintage Motorworks. After falling in love with their retro bikes he decided to search for a vintage ride of his own. “I also started searching the internet to get ideas of what i wanted to do to it. Gravel Crew WAS the inspiration. After looking through their bikes I settled on a Honda 500 they had done” Scott says. 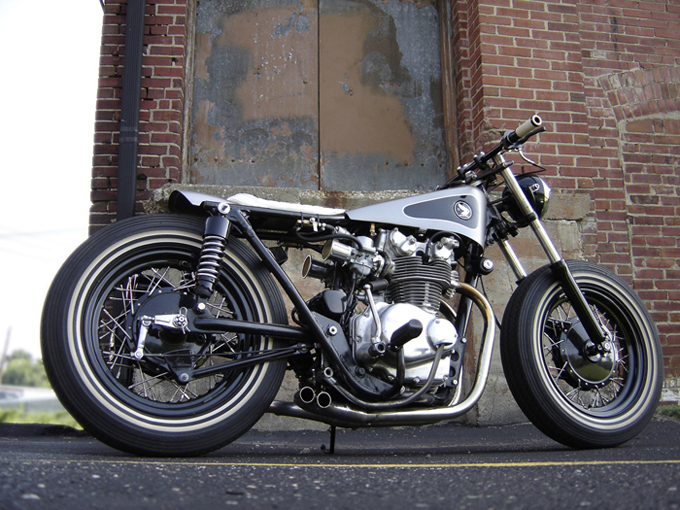 “I located a CB450 in mint condition 4 hours away, and off I went. Brought it back, put a couple hundred miles on it, and then one night after a few High Life’s decided to start tearing it down. It wasn’t an easy decision but the process had begun. The first and largest task was going to be the tank. I had seen Benjie’s (BCR) work and decided to see if he’d be willing to help. He agreed to the job! I sent photos of what I wanted with little modifications here and there. Benjie created the tank and exhaust plus I used one of his headlight bucket mounts. Next were the wheels/tires. It took a while but I finally sourced the tires, and a friend recommended I contact Woody’s Wheel Works to build the wheels. I supplied the tire info and sent the stock hubs, and they powdercoated, laced and mounted the finish product – twice – turns out I could no longer use a disc up front, so off to Ebay for a drum that would work, and, repeat process.